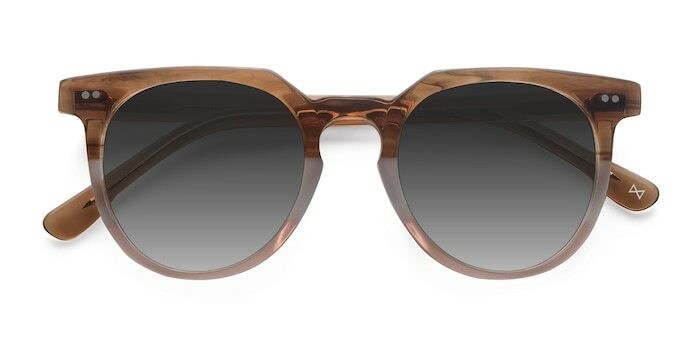 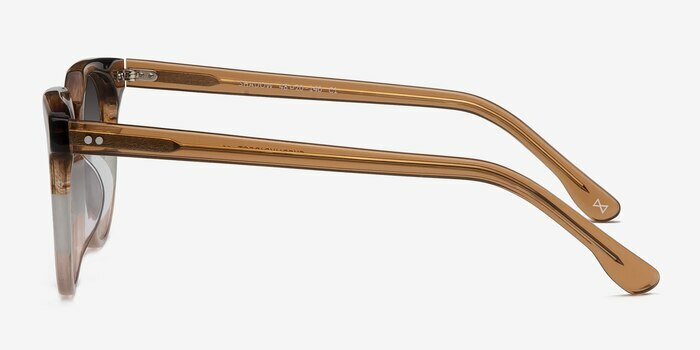 These Neapolitan gradient sunglasses will have you looking good beyond the shadow of a doubt. 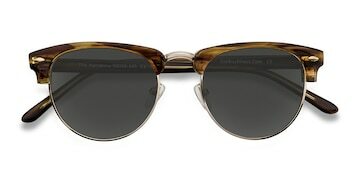 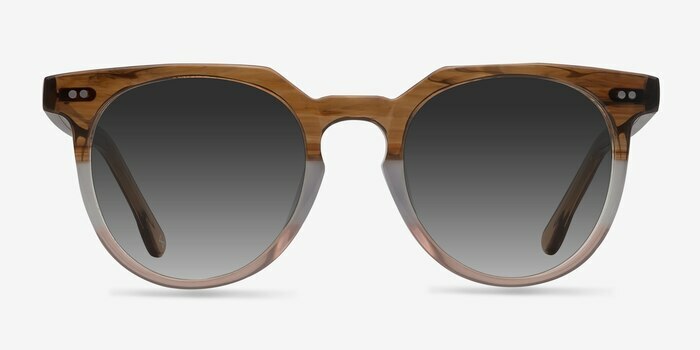 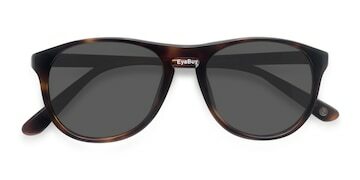 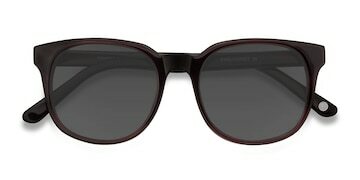 This boldly vintage frame comes in a premium quality semi-transparent brown acetate finish throughout. 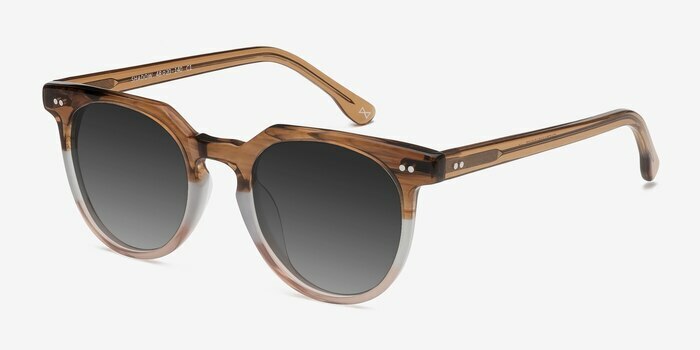 The impressive frame front features a tri-layered color transition, double stud accents, and Italian hinges, angular browline for that extra wow-factor.